In four years, Honda Cars India has seen a huge 185 per cent jump in sales. That push has collectively come from the Brio platform, City and the new Jazz. However, the Japanese giant has been missing out on one of the most highly sought after sections in our market - the compact SUV segment. That's about to change with the introduction of the BR-V, an all new vehicle that will get on sale in India post March 2016. 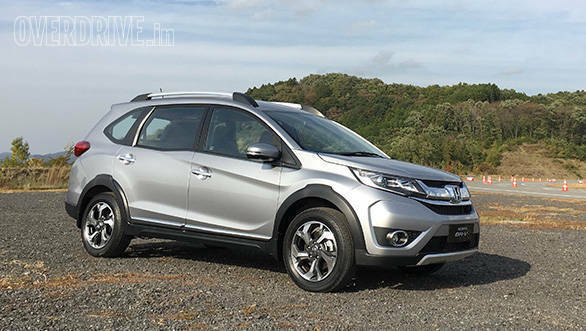 The BR-V or Bold Runabout Vehicle (have fun explaining that one) spans well over 4m and will take on the likes of the Duster, Creta and S-Cross. 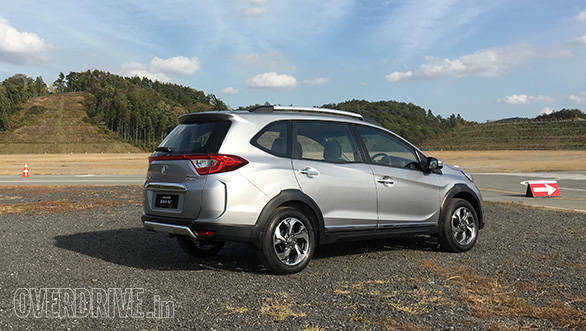 As is the current norm, all we got was two laps on a tiny loop of tarmac at the magnificent Twin Ring Motegi Circuit, so what you're about to read is a brief understanding of what to expect from the BR-V. The car here is an Indonesian spec model with a 1.5-litre, 120PS petrol engine and CVT gearbox shared with the City. Naturally, India will get a diesel engine, one Honda tells us will be a modified version of the 1.5-litre Earth Dreams unit. 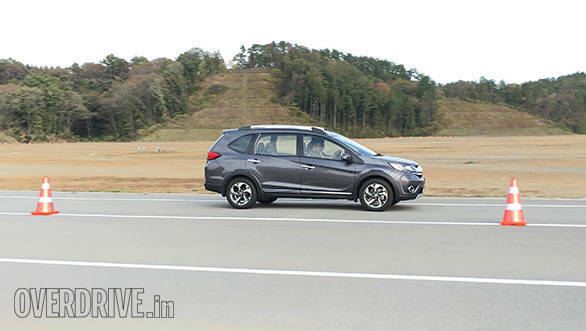 This tuning, Honda explains, has been done to better match the requirements of an SUV. 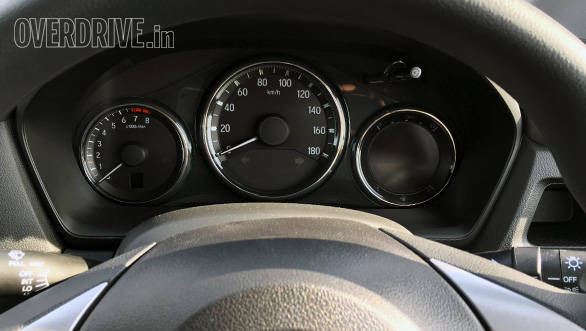 We'll just have to wait and see whether that means a boost in power and torque to take on the more powerful engines in the Creta, Duster and S-Cross. 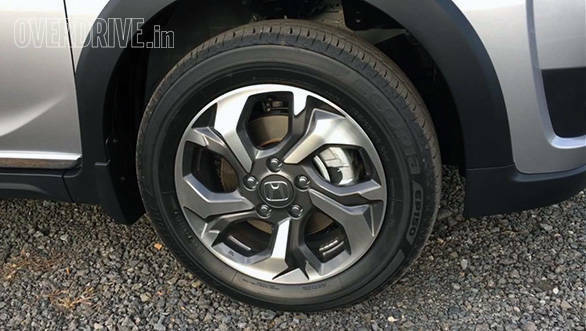 Visual features like the design on the 16-inch wheels may change on the Indian car but the overall design should be pretty consistent. 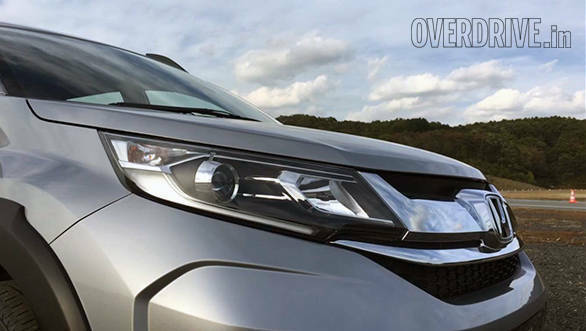 The best angle is the CR-V inspired face - it's both handsome and attention grabbing. The BR-V is large too, considerably longer than the Renault Duster, about as much as a Scorpio. It also has generous ground clearance of 201mm. The side profile reminds quite a bit of the Mobilio, thanks to the pronounced kink on the window line. The side also generates some interesting with a couple of subtle and tastefully done kinks in the metal work. Another shout out to the CR-V is in the pinched end of the windowline. The rear section is well executed too, with long wrap-around tail lights that are linked by a red reflective strip. 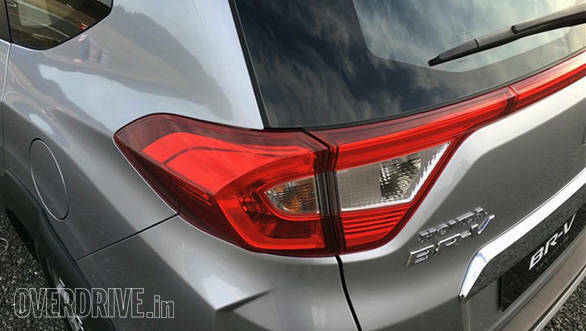 The BR-V does look a little narrow from the rear and reminds quite a bit of the Mobilio from the rear three quarters. Otherwise, I'd say this is a handsome design, especially from the front and should be well received. The interiors have a familiar but fresh layout. 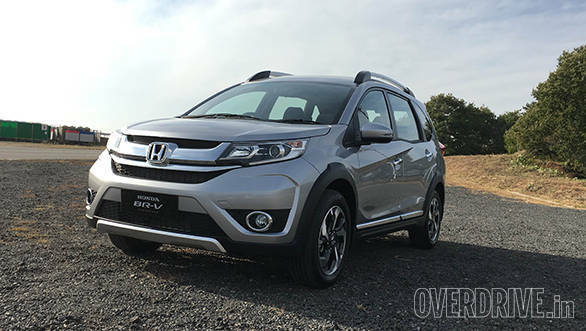 While the BR-V is built on the Mobilio platform, Honda wanted to give it a more premium feel. The result is a cabin that reminds of the City but without the touchscreen controls for the aircon or audio system. The prototypes we drove have blank plastic panels in place of what will be a double DIN system. Honda isn't commenting yet in whether this will be a touchscreen unit. 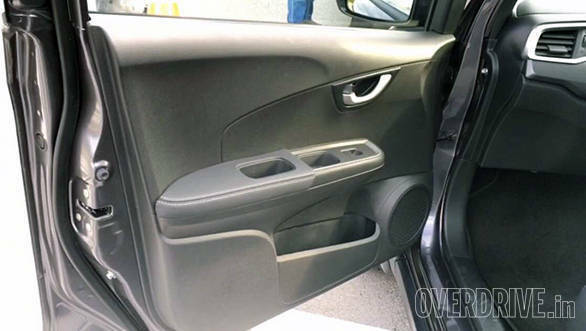 All the doors have generous pockets that will easily hold a 1-litre bottle. Two cup holders in the centre console offer more space. The BR-V's USP is its seven-seat layout - none of its competitors offer a third row. Space in the far end of the car is surprisingly generous. Even tall me had a sliver of space between my knees and the back of the middle row. 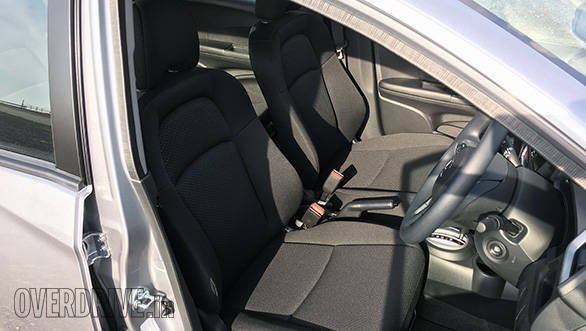 It is an upward angled seat so I won't go so far as to say this will be comfortable on long drives but it definitely is a usable space. 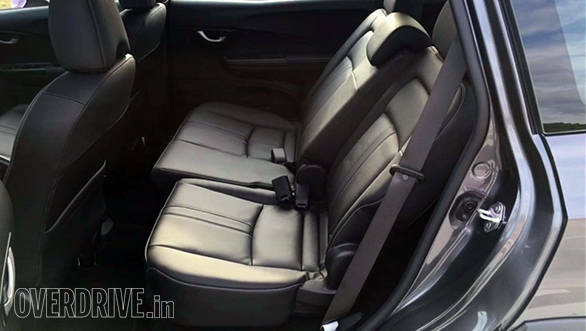 Third row occupants also get an armrest and cup holder on either side. Space in the middle is about average, not as much as a City and I feel Honda made a sacrifice here to ensure the third row is actually usable. There was no central armrest in our cars but the seats did have a 60:40 split. Middle and rear passengers get a roof mounted aircon that has three blower settings and three air vents. We didn't have the time to see how effective the system was. Honda isn't sharing numbers right now but boot space with the last row up is a bit restricted. 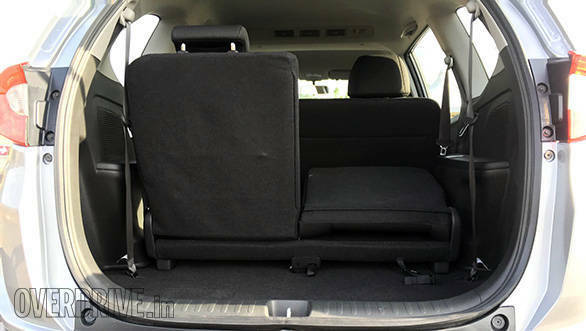 Drop the seats and it extends by a big margin but the back row does not fold flat into the floor. We can't comment on what level of kit this car will bring in production form but our cars had dual front airbags and ABS, features we hope will be standard across the range. 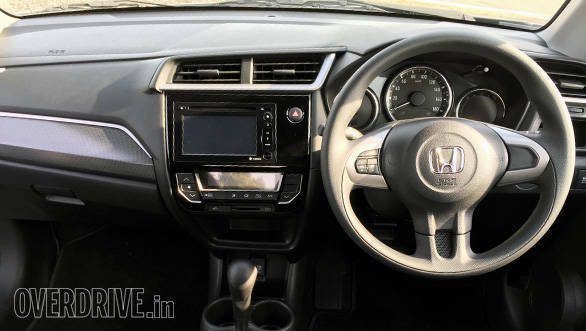 Overall, the all black cabin (India could get a beige, but no comments just yet) seemed well built and had levels of quality similar to the Honda City. The racetrack is one of the worst places to experience an automatic SUV on but we'll attempt to make do. 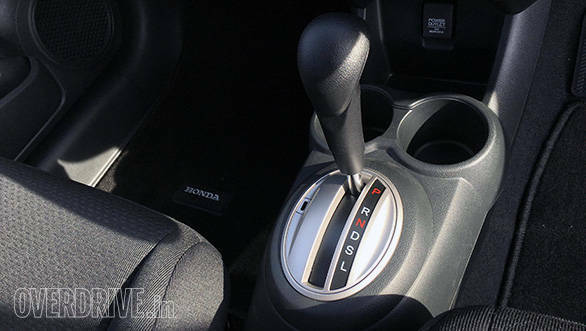 Like its siblings, the BR-V has electrically assisted steering. It feels a little vague off centre but gets firmer the more you turn it. Predictably, the chassis is set up to be soft and supple but body roll was well controlled. 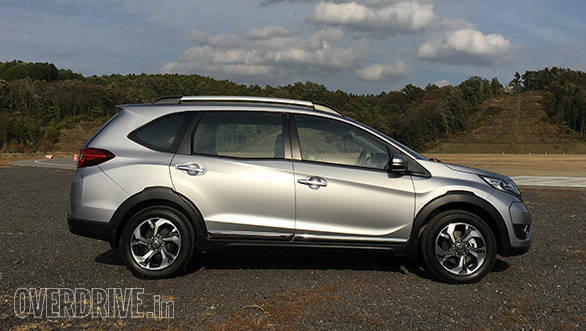 In essence, the BR-V feels very car like from behind the wheel. There isn't much more driving information I can share with you at this point because we only had about three minutes behind the wheel and had strict speed limits to follow. I suspect that the production India-spec car may be sprung a little differently and should feel quite different thanks to the heavier diesel engine that will power its front wheels. We'll have to wait to drive the production car under better circumstances to find out. 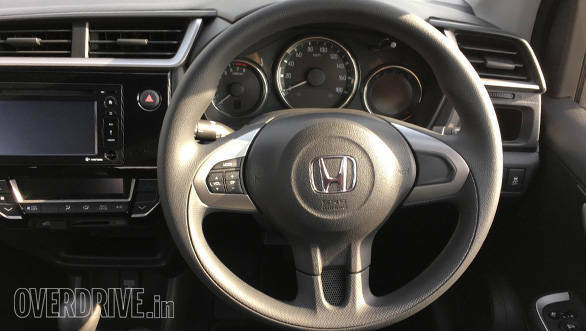 For now, it seems that Honda has a very serious contender that could shake up the segment if priced right.